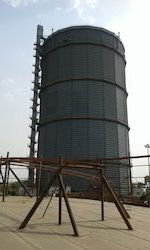 We are a leading Manufacturer of gas holder erection and gas holder erection & installation from Mumbai, India. Our organization is well known in the industry, engaged in offering a broad range of Gas Holder to our prestigious clients at reasonable prices. Material of Construction IS 2062 /SA 516 Gr. 70 etc. We are Leading Manufacturer And Supplier in Gas Holder Erection & Installation. 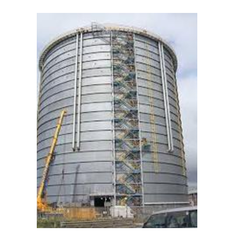 The Gas Holder offered by us is checked on numerous parameters so as to deliver a defect free range. We manufactured this Gas Holder using premium grade material and progressive technology in tandem with set industry standards. Also, our storage tank is known among customers for its safe & reliable storage.